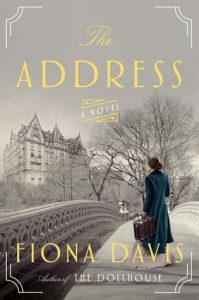 After reading her second novel, Fiona Davis has become one of my new favorite historical fiction writers. In The Address, Davis expertly weaves two women’s lives and the history of a landmark residence, The Dakota, in New York City. The lives of two women from the 1880s and the 1980s are woven together as the mystery behind The Dakota unfolds. The Address begins in 1985 when Bailey Camden, heir without genetic proof to The Dakota’s architect, is released from rehab and reenters the world, ready to make something of herself. The famed residential hotel, The Dakota, has fallen into disrepair, and Bailey, who is trying to reestablish herself as an interior designer, wants to learn more about the history behind the building. The narrative weaves in and out of Bailey Camden’s discovery of the history of The Dakota while exploring Sara Smythe’s connection with the residence. For me, Sara Smythe’s part of the story was the most interesting. I have a soft spot for stories about women who rise from the bottom to become more than they ever dreamed of becoming. Sara, when we first meet her, is a hotel manager in England who saves the life of an architect’s daughter. Theodore Camden, the architect, offers her a position at the residential hotel he has built in New York City. The attraction between Sara and Theodore is immediate right from the start, and that relationship develops over the course of the novel. The twists and turns at the end of her story were a little unexpected and thrilled me. It’s revealed at the beginning of the novel that Sara stabbed Theodore, but the true thrill are all of those little events that lead up to that event. However, I felt like Bailey’s desire for a fresh start and her refusal to compromise herself tied the lives of both women and tied the story together, because no matter the hundred years between them and no matter the different social structures, both women faced similar struggles and strove to overcome them. Overall, this is an enjoyable historical fiction novel. For the first third of it, I felt like the story was weighed down by the amount of research and detail in the set up, but that detail redeems itself when the story does pick up and become difficult to put down. I’ve already hand-sold this and her previous novel, The Dollhouse, to some of my customers looking for new historical fiction recommendations, so if you enjoy fiction about women who overcome their struggles and enjoy historical fiction set in New York City, The Address comes highly recommended! Thanks to Netgalley and Dutton/Penguin for a review copy! All opinions are my own. Fiona Davis's stunning debut novel pulls readers into the lush world of New York City's glamorous Barbizon Hotel for Women, where a generation of aspiring models, secretaries, and editors lived side-by-side while attempting to claw their way to fairy-tale success in the 1950s, and where a present-day journalist becomes consumed with uncovering a dark secret buried deep within the Barbizon's glitzy past. When she arrives at the famed Barbizon Hotel in 1952, secretarial school enrollment in hand, Darby McLaughlin is everything her modeling agency hall mates aren't: plain, self-conscious, homesick, and utterly convinced she doesn't belong—a notion the models do nothing to disabuse. Yet when Darby befriends Esme, a Barbizon maid, she's introduced to an entirely new side of New York City: seedy downtown jazz clubs where the music is as addictive as the heroin that's used there, the startling sounds of bebop, and even the possibility of romance. Over half a century later, the Barbizon's gone condo and most of its long-ago guests are forgotten. But rumors of Darby's involvement in a deadly skirmish with a hotel maid back in 1952 haunt the halls of the building as surely as the melancholy music that floats from the elderly woman's rent-controlled apartment. It's a combination too intoxicating for journalist Rose Lewin, Darby's upstairs neighbor, to resist—not to mention the perfect distraction from her own imploding personal life. 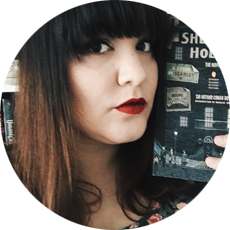 Yet as Rose's obsession deepens, the ethics of her investigation become increasingly murky, and neither woman will remain unchanged when the shocking truth is finally revealed. 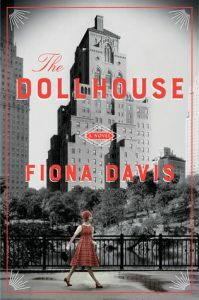 Fiona Davis’s The Dollhouse explores two women who live in the famous Barbizon hotel in alternating viewpoints from the 1950s to modern day New York City. When Darby McLaughlin arrives at the Barbizon in 1952, she is nothing like the other girls who live on her floor. The other girls model and are gorgeous and compared to them, Darby is plain and soft-spoken. When she meets Esme, a maid at the hotel, Darby becomes involved in a world she’s only heard about and eventually is involved in a deadly accident. Years later when the hotel has been converted into condos, Rose Lewin, after hearing about the accident involving Darby and Esme, sets out to uncover the history and the secrets between the two women to write an article and she ends up discovering so much more. I really enjoyed this novel. It’s a breezy read that kept me entertained and left me wanting to know how Darby’s story and Rose’s story intermingled with one another. Davis’s writing explores women who are left to the side in society because they “aren’t enough” to the men in their lives, and each of the women discover who they are through the course of the novel and become stronger for it. One of my favorite parts of the novel is the contrast between what was expected of women in the 1950s versus what is expected of women in the 2010s. I particularly liked the attention to detail in clothing and attire that women were supposed to wear in the 1950s, like the clothing, the gloves and the hats; and I liked the contrast in the restrictions women had in that time, especially at the Barbizon, to today’s current social climate regarding the freedom of women. I thought it realistically portrayed each woman’s struggle in finding the right job, her purpose in life, and even the right partner, and I loved the similarities in those struggles each woman faced contrasting with the differences in society. This is an excellent read if you enjoy historical fiction about women in their discovery of self, no matter what time in which they live. I’m looking forward to reading more by Fiona Davis! Thank you to Netgalley and Dutton Books for the review copy!